Organic farming, clean viticulture, what are our choices ? We do not want to join an organic seal of approval because we consider that an accumulation of copper in our soils would be very harmful on the long range. However, our way to cultivate the vine goes further than the « reasonnable » one, ie. : We have NOT used CHEMICAL FERTILIZER for over 40 years and we do NOT use HERBICIDE, NOR INSECTICIDE since 2002 ! Working our soils is crucial. It allows us for more than 30 years now, to favour the good development and the own character of each of our soils which are Flint, Portlandian limestone and Kimmeridgian marls. We use bare necessities of fungicides adding them to natural stimulators. Pierre-François Masson, 7th generation of wine-growers at the Estate refuses the ready-made thinking. 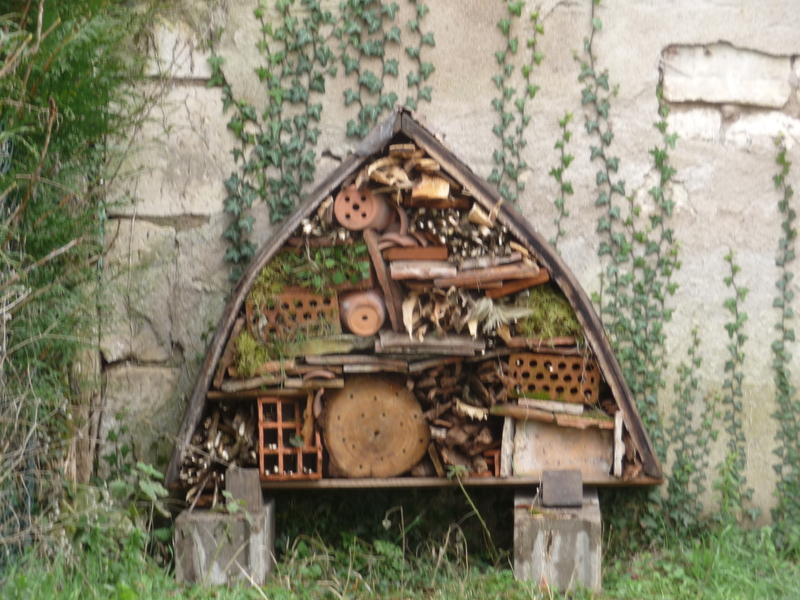 This passionned man in his thirties, gardener and beekeeper when it comes, installed an insects hotel in a vine of one hectare of Pouilly-Fumé situated in the heart of the village to preserve the wintry survival of the insects useful for the pollination. Insects hotel installed in Masson-Blondelet’s vines. 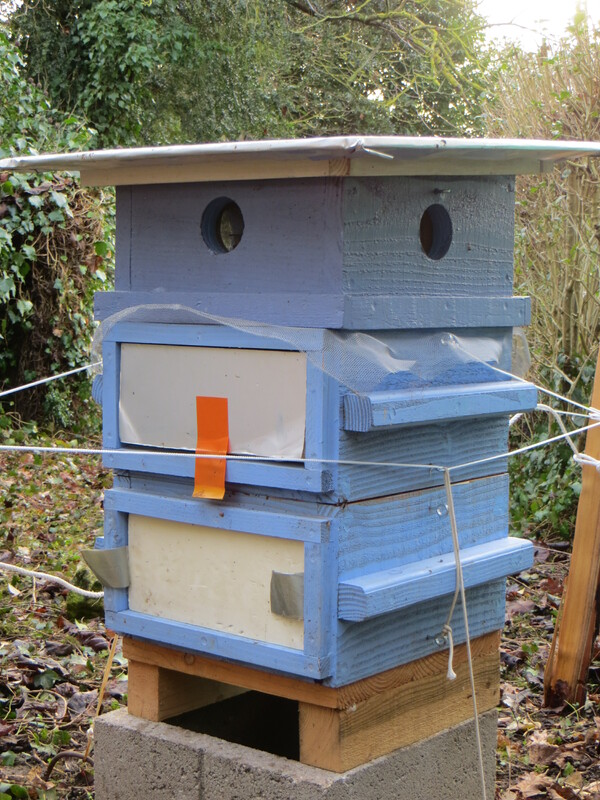 Pierre also installed hives in its personal kitchen garden, cultivated the same way as our vines, without weed-killer, nor insecticide, or fertiliser, in order to find a shelter for the bees, daily disappearing… This year, they are around a month ahead comparing to the past year. 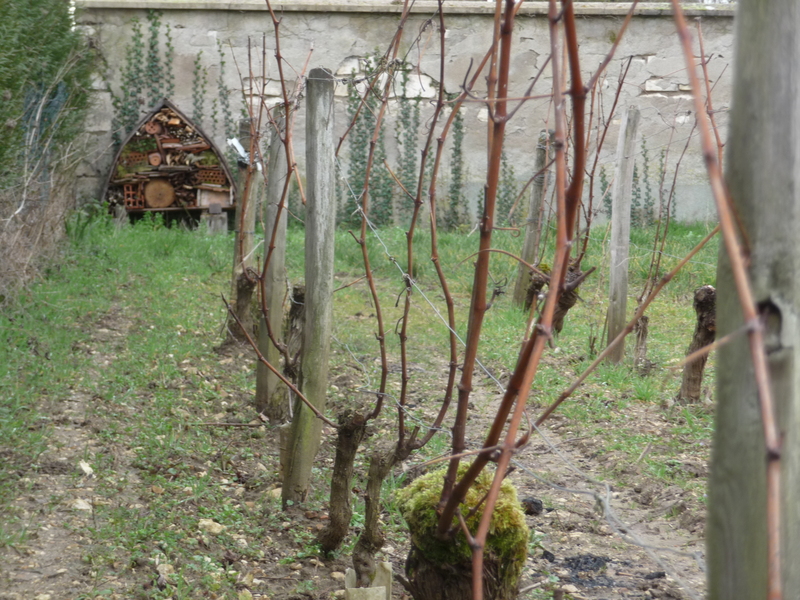 Hive installed by Pierre-François Masson in Pouilly sur Loire in order to encourage the survival of the bees. At the cellar, our philosophy in terms of wine making process is to privilege physical treatments in order to banish the chemical ones (even the softest) and to use the less suffer as possible. That is why we work with three main principles : The use of gravity (cellar half burried, built on three levels), the use of cold settling and the keeping of the fermentation CO2. Our wish is to equip ourselves with the most reliable means as well as privileging human intervention, which is the only responsible for “the soul of the wine”. We put a lot of ourselves in our vine culture and we are looking for perfection in our wine-making processes. So, we are proud that they bear our name, and that they please their final wine taster.